Have you ever been on a holiday where you had so many incredible experiences, that when you came back home, you were unquenchable in your eagerness to share your holiday experiences with all of your friends and workmates back home? I am going to admit almost every trip abroad has been memorable and remarkable for one reason or another. I keep meaning to finish posts I have in the ever-expanding drafts folder about the people we met and the places we graced on our travels. Today I want to share a story that I am not allowed to talk about in front of my younger sister Mandy. You will see why. A few years ago eleven of us flew over to Brasov in Romania. Now we were there in February, when there was lots of snow, and our Romanian friends wanted to take us skiing. Four of our group (the boys) had skied before. The seven of us girls had only ever been on small indoor or outdoor artificial ski slopes in England and Wales. So our Romanian friends took us to the local ski resort….and negotiated for us to have five days of ski lessons, ski equipment hire and lift passes for a grand total of £60 each. Now ask anyone who skis and they will tell you this is an extraordinarily cheap price for five days of skiing. Realizing we were unlikely ever to have a chance like this again for such a reasonable price, we all agreed we would like to learn to ski properly. 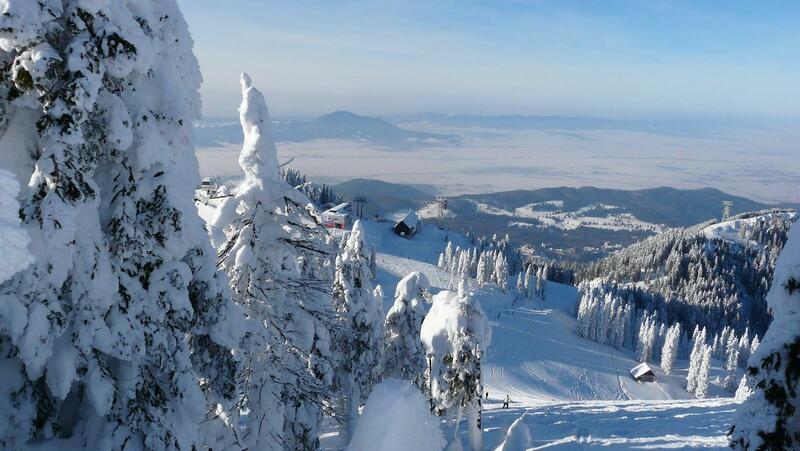 So we spent the next five days in Poiana Brasov, the beautiful ski resort. Now if you are going to have ski lessons, you of course need a ski instructor. I am not sure quite which planet ski instructors come from, but they are easily identified as invaders from outer space when then they open their mouths and speak and by their erratic behaviour. Our ski instructor – let’s call him David – (pronounced Dav-eeeed of course) was without doubt from a far flung corner of the galaxy. Planet Muppet! We thought him odd from the first moment we met him. All week he kept on showing us his cars on his phone. He kept on showing off to us about everything it is possible for a man to show off about. We were just gagging with laughter at his boorish boastfulness. I have no idea what he thought of us. We were six girls, from the age of fourteen right up to sixty, who wanted to have fun learning to ski on the nursery slopes. He seemed to think this was ski boot-camp. Apparently, there was a competition amongst the ski instructors as to whose nursery group would be the best at the end of the week of skiing. Only it was clear to us, that we were not going to be the winning group. All seven of us struggled to master the basics of skiing. We all struggled with turning off the drag-lift onto the slope, and stopping ourselves from sliding down the hill without the rest of the group and our instructor. Lil was hilarious! She was not really in the group at all. She had absolutely no control. I love Lil so much but I was suffering with severe belly ache from how much I was laughing at her. I know that sounds awful, but it was like some kind of crackpot comedy film. The sixty year old member of our group Lil…oh my goodness, I am amazed she stuck it out for as long as she did! I have this vision of her in my mind. She kept on falling off the drag ski lift and ending up sprawled out across the middle. Other skiers ended up skiing right over her. She must have been black and blue with bruises. But she kept on crawling back onto the nursery slope full of laughter insisting she was fine. After two full days she admitted she was feeling rather sore and decided to have Wednesday off to rest up a bit. That left my younger sisters Mandy and Milly, me of course, a friend of ours also called Milly, another friend called Emily (lots of confusion with names for ski instructor) and fourteen year old Rachael, who liked to be called Ray. Seven had become six. Now I am not going to go into too much detail because of the length this post might become, but by the end of Wednesday Emily was being air-lifted to hospital. The boys all came down from the black slopes, and with our ski instructor David of course, went along to the hospital. David was in tears. He was on the phone having a melt-down to his mother who was a surgeon. 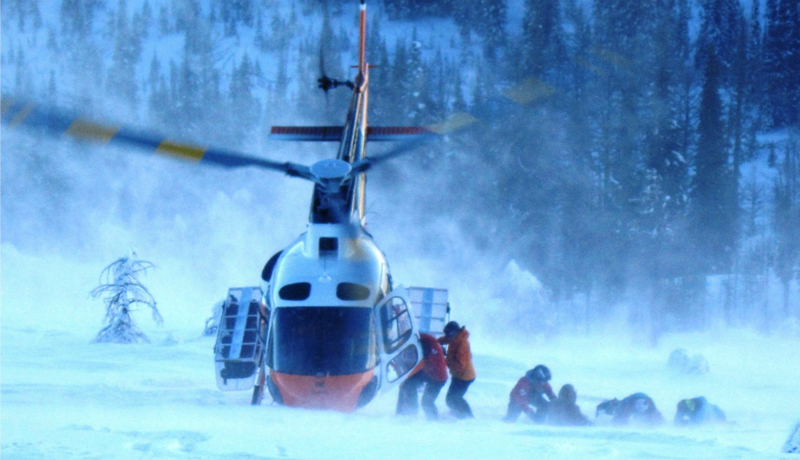 It’s causes quite a stir when someone has to be air-lifted from the nursery slope, let me tell you! Seven had become five. Then my youngest sister Milly said she would stay with Emily and Lil, and the rest of us should carry on skiing. We debated it, but Emily, who was conscious and stable by the way, said she needed to rest and it was better to just have one or two with her rather than a gang of eleven. So now there were four of us, Mandy, our friends Milly and Ray, and me. Well, David our ski instructor was clearly feeling a bit anxious after what had happened to Emily. But he also seemed to be losing face in front of the other ski instructors, because his group had dwindled so much. That day, which was Thursday, David kept on yelling at us. Any time one of us slipped he would tell us to hurry up and get up again and carry on. The other beginner groups were obviously doing much better than we were. We didn’t mind. We were on holiday! We had no ambitions to win any competition. David did not realize that he was taking all the enjoyment out of these lessons. He was already showing signs of being a top-class muppet. Mandy fell on an icy patch near the top of the nursery slope. Her glasses fell and had clearly broken. Now, I have never had to wear glasses, but I know from both Mandy (who is actually very short-sighted) and others, that if your glasses break, it is no laughing matter. Understandably, she was determined to recover her glasses and see if they were repairable. David started to shout at Mandy, telling her to hurry up and get up on her skis and carry on skiing. Now wasn’t he a muppet! Silly David! He learnt the hard way that you do not shout at our Mandy! You do not pick a fight with Mandy! II mean she has changed a lot since she has been married. But from the age of three to twenty-three, Mandy had a fierce temper. There were words coming out of Mandy’s mouth, angry words. Not swear words. 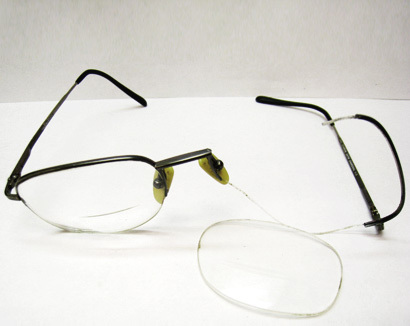 This was the wrath of a woman pushed to the brink of exhaustion, whose best friend was in hospital and now with broken glasses. Not just any woman – this was Mandy Finch. You don’t provoke Mandy Finch! She told him in no uncertain terms what a complete and utter muppet he was. She told him he had ruined our holiday, and that he was not fit to be a ski instructor, because all he could think about was this stupid competition. Our friends Milly and Ray and I all looked at each other wondering how to control Mandy. Then I saw her unstrapping her skis. Next minute the skis were flying through the air and fortunately fell short of their intended target. David looked white with shock! Mandy was storming off down the nursery slope. Milly, Ray and I were shocked. We had all seen Mandy when she had lost her temper, but this was one of the worst incidents. She could have caused some serious damage by throwing those skis like that. David turned to us and said that we should take a break and not worry about the competition. I explained to David that Mandy was tired and she was very upset about her glasses. I told him not to take what she had said too personally. The three of us said that we had been enjoying the ski lessons, we just wished it was a bit less competitive. We headed into the little cafe and bought hot drinks. Mandy sat on the opposite side of the cafe refusing to come anywhere near David. Ray and Milly kept on trying to cajole her to come over. In the mean-time, David was sobbing and was wimpering to me “I was born to be the best. This should not be happening to me. I should be the winner. I am the best at everything. Why is this happening to me?” I tried to console him without laughing at his silly words. He really was a bit of a muppet! Well on the Friday the group of seven was now just three. David took us up to the very top of the mountain were there was a restaurant and we had lunch there. Then he gave piggy-backs down the mountain. Two of us would walk while the other was on his back and he was skiing. That was fun. I have to say, I did enjoy skiing itself. It was hard at times. It was exhausting. But I didn’t mind all the falling over and getting up again. But for the moments when you are actually flying along on your skis, it seems worth all the effort. I am not sure if I will ever go skiing again. If I do go, I am going to stay on the nursery slope! I don’t think my sister Mandy is ever going skiing again! We are not even allowed to mention skiing to her just in case it brings back memories of the muppet she lost her temper with in the middle of the nursery slope at Pioana Brasov! Oh what an vacation to remember. LOVE your sister! Sorry about Emily hope all was well. Loved this! I felt sorry for her…we were all so exhausted by that point, but poor Mandy – when her glasses broke, it was the straw that broke the camel’s back. Still she should not have thrown the skis!!! Mandy has become such a softie since she married, it was just when she was younger she was very hot-blooded!